I researched Arizona as much as I could before deciding to move here and now that we’ve been here over four months I can say there haven’t been any major surprises. I was a little worried that the summer heat and inescapable sun would drive me crazy right away, the risk I thought was low but the consequences severe. I thought it more likely I might be sick of the heat by the end of the summer and would want to escape back to the mountains or coast of the Northwest for a vacation, but so far that hasn’t happened. We are probably past the hottest days although it will still be above 100 degrees for a while yet. I’ve been pleased to find I can hike even on the hottest days as long as I’m on the trails early and off before the real heat of the day. We’ll see how I feel about the heat in the long term but so far the air conditioning, a nice swimming pool, and the wonders of the Sonoran Desert have made it tolerable. 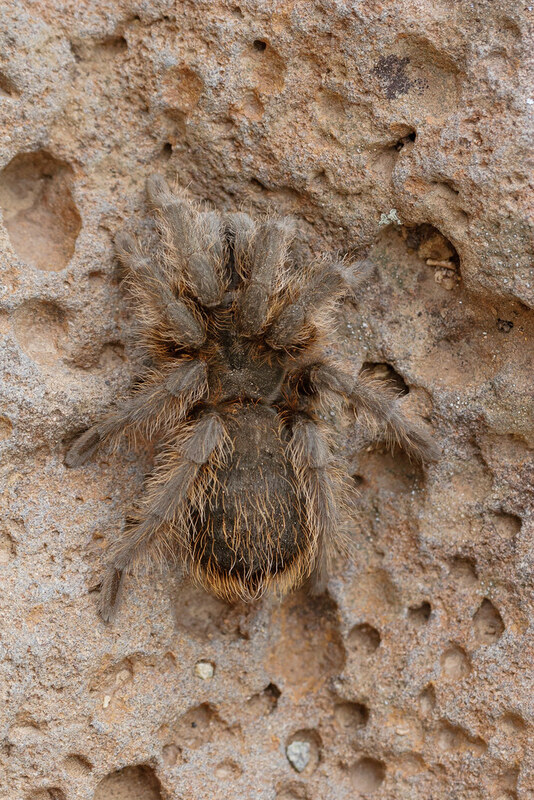 Speaking of surprises, I was hiking near Granite Mountain one day when I saw what at first seemed like outstretched fingers of a human hand retreating into the earth before I quickly realized it was a tarantula pulling its legs into its hole. We saw a tarantula during a week’s vacation in New Mexico years ago so I assumed they would be more visible but so far I’ve only seen the one. 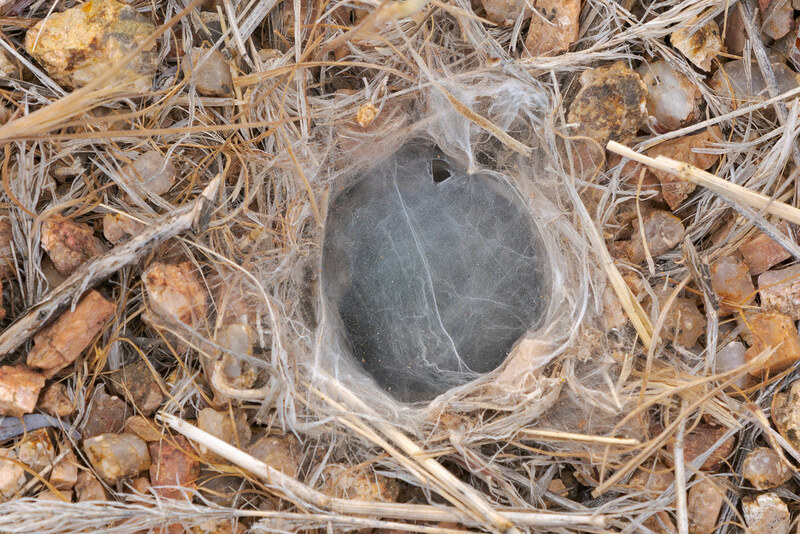 I think this may be a tarantula hole, I saw it on the Vaquero Trail but didn’t see its owner, but I’m far from certain as I still have much to learn about my new home. I grew up thinking tarantulas were deadly assassins that would kill you if you crossed their path, as I lived far from their domain and my impressions were formed based on how I saw them portrayed on television. 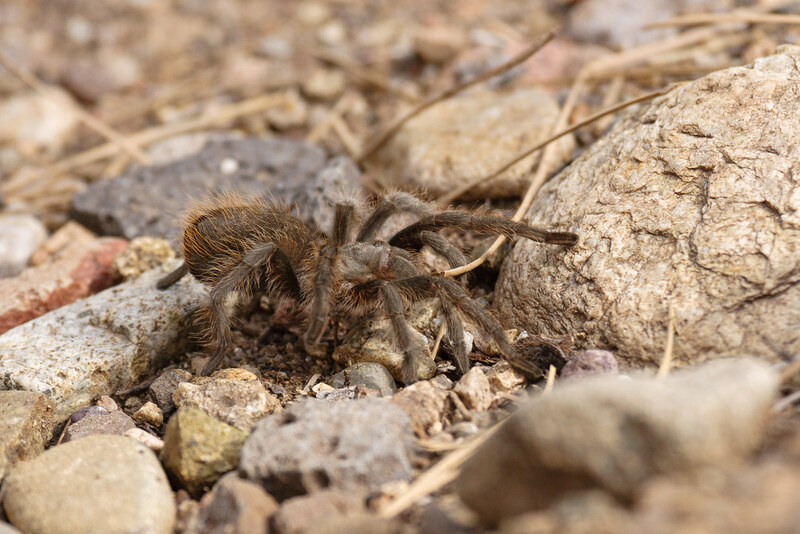 We love to demonize and vilify certain animals (and worse, people) based on primal fears, and on deliberate lies told to mask the real threats, but in truth tarantulas are not a threat to us. 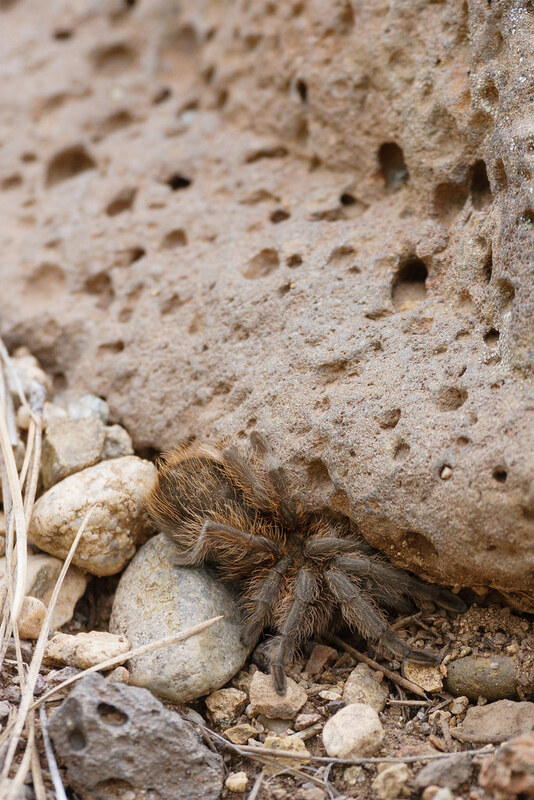 As my wife and I walked down the path and stopped to watch this tarantula in New Mexico, she noticed us (their vision is poor but they are good at sensing vibrations in the ground) and ran over to this rock and tried to hide in a crevice but was slightly too big to fit. I always feel bad when I frighten an animal when I hike but thankfully she decided to trust us and climbed out onto the rock. A lesson my young self did well to learn – I was the threat. My wife and I were hiking up from the Rio Grande on our trip to New Mexico in 2007 when we met this lovely little creature on the trail. It was the first (and so far only) time I had seen a tarantula, a couple of job opportunities I’m pursuing are in areas where we might meet again. This one could still be out there, the females can live up to 20 years (the males only half as long). 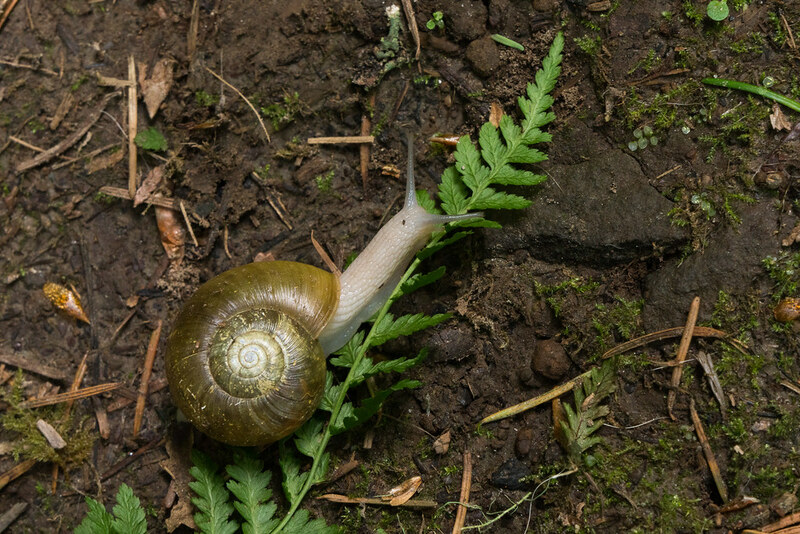 Walking in the Columbia River Gorge you’re likely to come across slugs and snails underfoot, such as this snail (maybe one of our lancetooth species? I know nothing about snails) near Latourell Falls. It was just crossing over the fern frond that had fallen to the forest floor, not dining on it, I think lancetooths are carnivorous and eat other snails. The little creatures of the forest are one of the reasons I value short close-focusing distances in lenses, it minimizes the need to switch to (or even carry) a dedicated macro lens when you only need to get close, but not macro close. This was taken with the Sony-Zeiss 16-70 f/4 zoom lens, a lens I wasn’t sure about initially but which I’ve really come to like. 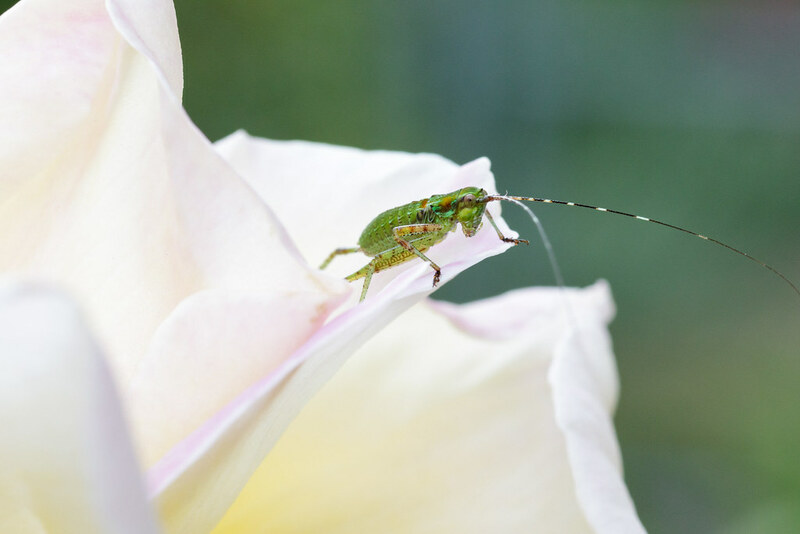 A young katydid nymph looks over the edge of its home, a rose blossom beside our house. At this age it has no wings so it walks everywhere it goes. 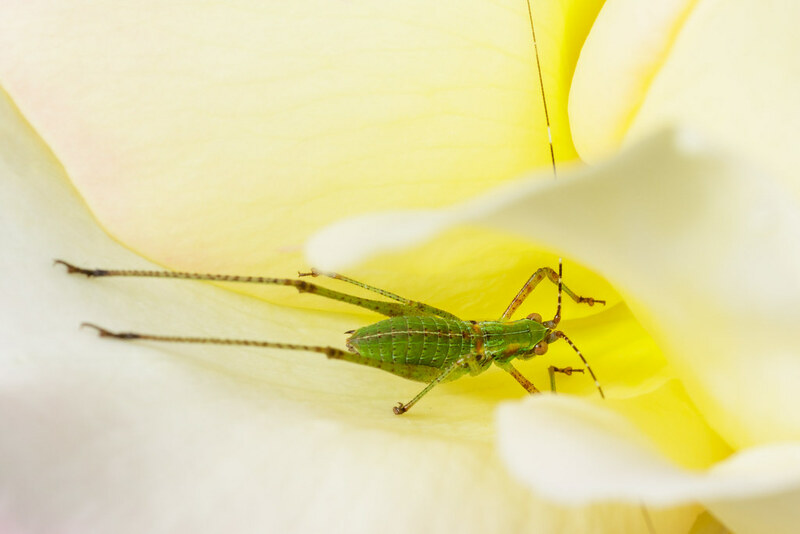 An adult fork-tailed bush katydid nestles in a blossom of one of our rose bushes. 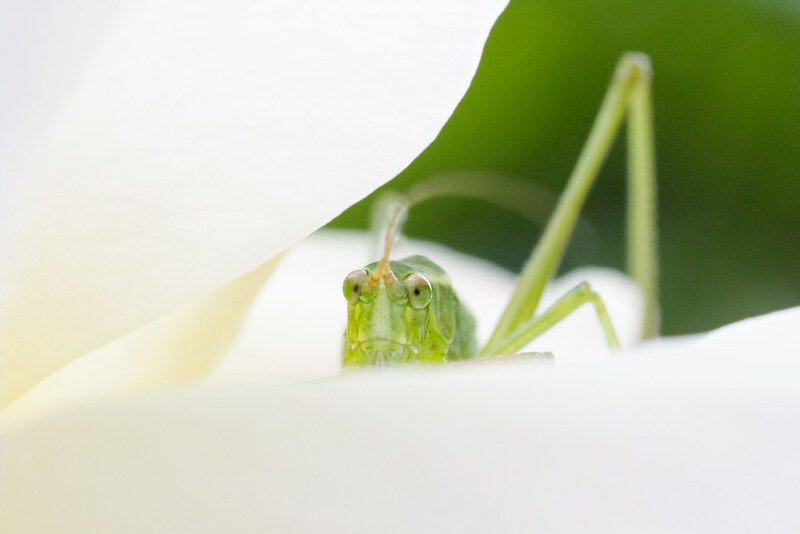 With its long legs sticking up towards the top of the rose blossom, it looked to me as if this fork-tailed bush katydid nymph had gone down a slide, but its playground was its dining room. We still have a few rose bushes remaining, this one included, but I haven’t decided if they will stay, as while I don’t like them the katydids love them, and I love the katydids. But these bushes are old, decades old, and their thorns are malevolent.